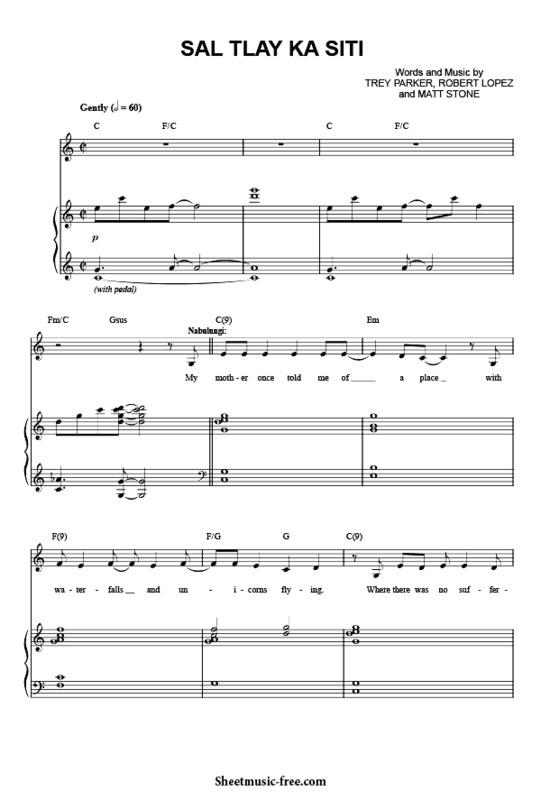 “Sal Tlay Ka Siti Sheet Music” from The Book Of Mormon, musical. “ Sal Tlay Ka Siti Sheet Music” for Piano / Vocal/ Chords , Original key: C Major, number of pages sheet music PDF: 9, Video and Lyrics song Sal Tlay Ka Siti Sheet Music. “Sal Tlay Ka Siti’” from The Book of Mormon, is a religious satire musical that pokes fun at the beliefs of The Church of Jesus Christ of Latter-day Saints. Sal Tlay Ka Siti Sheet Music The Book Of Mormon. And don’t care who you ?